it’s late but it’s great. I didn’t think I had the energy but my stomach spoke to me. Greens contributed by Marjorie Sanders. 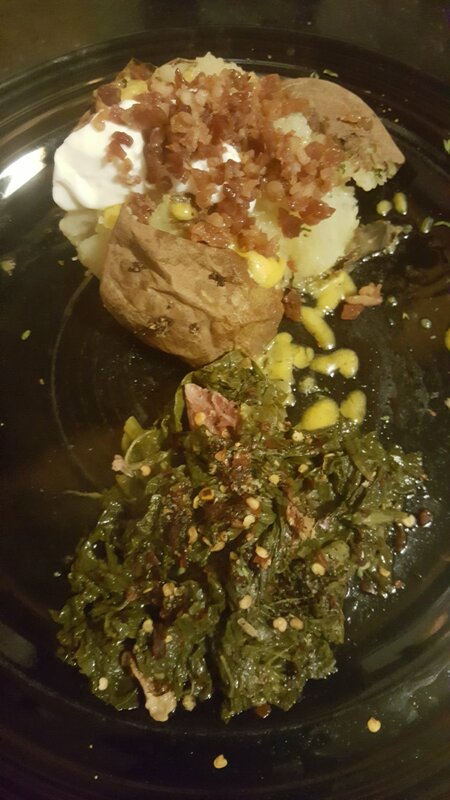 Baked potato with bacon bits and butter and sour cream. 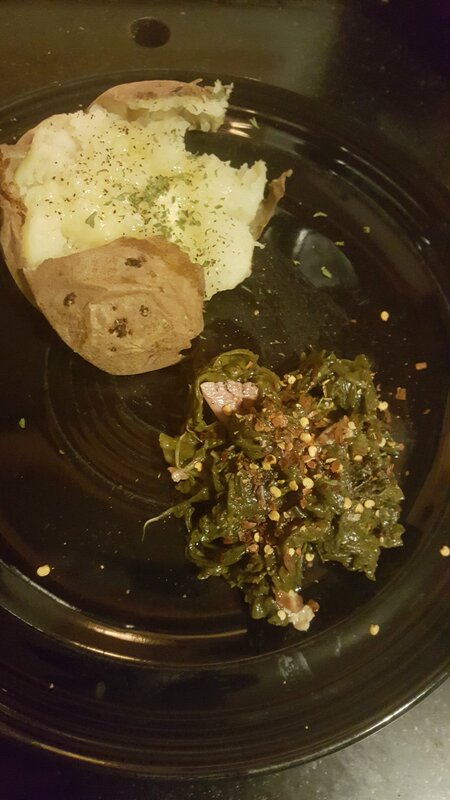 This entry was posted in Fit and tagged #fitalittle bit, fitness, green. Bookmark the permalink.